There's nothing remotely "feminine" about the toffee-hued liquid in my glass. Raisiny of aroma, rich of texture, this bold whisky is a merry-go-round of caramel, citrus, salt and spice. I'm fortunate enough to be tasting this glorious spirit straight from the barrel at Spring Bay Distillery, a micro-distillery in the postcard-perfect beach town of Spring Bay on Tasmania's east coast. Distiller and co-owner Suzy Brett is with me in the barrel room, drawing spirit from the barrel and telling the story of why she and husband Cam decided to start making whisky 90 minutes from their home in Hobart. (The coastal location imparts a subtle saline character to the finished whisky, not unlike the whiskies produced on the Scottish island of Islay). There's pride in Brett's voice as she tells the Spring Bay Distillery story, and justifiably so. Not only are she and Cam about to launch the first whisky distilled and aged entirely in the distillery they commissioned in 2016 (the whisky, incidentally, sold out in a flash when it was released this month), she's also part of a powerful posse upending outdated stereotypes about women and liquor. In less than 25 years, Australia's southern-most state has established itself as a serious player in the global whisky scene. Trophies and awards at international whisky shows. Ringing endorsements from authorities such as Michael Jackson, who produces an annual whisky guide. Releases – such as the Bretts' first all Spring Bay whisky – selling out within minutes of release. A successful, well-supported Tasmanian Whisky Week program this month. All signs that the world of Tasmanian whisky is in a good place. 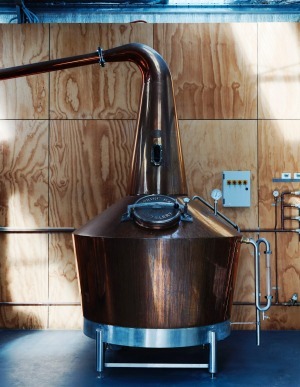 As far as raw ingredients and conditions for producing whisky go, Tasmania has everything a distiller could ask for. Fields of barley? Tick. Clean, shimmering water? Tick. A climate where temperature, humidity and pressure conspire to create ideal whisky-ageing conditions? Tick, tick and tick. But most importantly, Tasmania was also home to people that had the nous and foresight to unlock the potential of all these natural resources: enter the Lark family. During a fishing trip in 1992, Bill Lark paved the way for the creation of the modern whisky industry in Tasmania when he asked his father-in-law Max Stewart why no one was making whisky here. The rest is history. But while the story of Lark's role in changing the legislation to legalise small-scale distilling has been repeated ad infinitum ("I would have had to fight harder to have them not change their law," Lark admitted), less documented has been the role played by Lark's wife, Lyn. While Bill continued to work his day job as a land surveyor, Lyn was at home with the kids, figuring out how to use the antique 80-litre still the Larks had bought second-hand for $65. Just one catch: the still came with no instructions. Instead, Lyn relied on trial and error and notes from a crash course in distilling Bill took at Roseworthy Agriculture College. I went from being very watched to the head of production. "There was no Google," says Lyn. "I didn't even have a mobile phone in those days. I used to go to the science labs at the university with picnic baskets filled with things I had distilled. Putting them through the chromatograph [laboratory equipment for separating fluids] showed me what was good and what wasn't and gave me the confidence to run the still." Eventually, the Larks distilled five litres of spirit and laid it down in a new five-litre oak cask in May 1993. When bottled two years later in 1995, it became the first (legal) whisky produced in Australia in 153 years. As Lark's offerings grew – a whisky liqueur, gin flavoured with native Tasmanian pepperberries and even rum were added to the range – so too did its reputation, particularly that of Bill who, reluctantly, answered media queries. This lack of attention, meanwhile, suited Lyn just fine. "Bill's brilliant at the media stuff, and it's not the sort of stuff I enjoy," says Lyn. "I'm less patient. He's the big picture person and I was the nuts and bolts person, plus I had the kids and had to care for them." Some of that alcohol clearly rubbed off on eldest daughter, Kristy Booth-Lark. After working at the Lark cellar door as a teenager, she moved into production and learned the finer points of whisky production from Bill while Lyn schooled her on the ways of gin. The path wasn't always easy (Lyn: "When it's your child, you tend to be tougher on them. No starting at the top for Kristy. She's done it all from the ground up. "), the experience proved invaluable. "I went from being very, very watched to the head of production," says Booth-Lark who turned her back on a career in air traffic control to learn the family trade. After working off-and-on at Lark for almost 15 years, Booth-Lark was made redundant and limited her industry involvement to consulting. It was only after some friends suggested she strike out on her own that she established Killara in 2016 (the distillery is named after the street she grew up on). 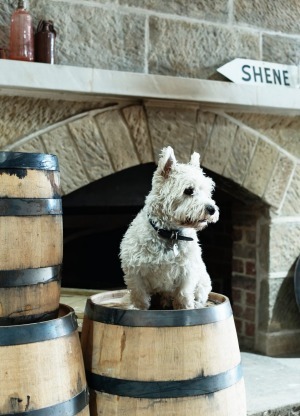 Whisky, naturally, is her passion – she's preparing to release her maiden whisky – but she's also had success with her gin brand, Apothecary, and has barrels of brandy distilled from Tasmanian sauvignon blanc ageing patiently. Currently based in semi-industrial Goodwood, Booth-Lark is on the lookout for a new location where she'll be able to grow her own barley as well as gin botanicals. Her biggest contribution to Australian alcohol culture, however, might just be the establishment of the AWDA, the Australian Women in Distilling Association. A protest at the under-representation of women at an awards event last year (of the 115 individuals nominated, Booth-Lark says only five were women), the association aims to amplify and increase the number of female voices in the industry. "Since the association has been around, a lot of people have told me it's great to know that they have somewhere that they can go and ask questions and not feel silly," she says. "I've had people say that they sometimes find men that have been in the industry for a while a bit intimidating. Even though I'd say that the majority of them are really nice and approachable, if I can help someone make a contact with this person or point them in the right direction, I want to do that. I'm about sharing and paying it forward." It has not always been the case, but ambitious and interesting female characters are now a recurring theme throughout Tasmania's distilling industry. At Shene Estate, the mother-and-daughters team of Anne, Myfanwy and Ceridwen Kernke are using distilling as a way to celebrate and share the history of their meticulously restored 199-year-old estate in the Midlands. At Nant Estate, another property with a long history, Bec Walsh is striking blows for tenacity and determination. After years of working at the Nant Whisky Bar in Hobart and volunteering in the distillery on weekends, she landed a permanent position in 2017 and hasn't looked back. At the other end of the spectrum are operations such as Knocklofty, a joint venture between friends Ingrid Nicklason, Andrea Rumney, Sari O'Meagher and their husbands (the three met at their kids' soccer club 15 years ago). Their "distillery" is located in the heart of suburbia in a shed in Nickalson's backyard. Olly Badcock, Nicklason's husband and a former brewer at Cascade, oversees operations and built the still using second-hand parts and repurposed equipment. Local is the sextet's watchword, from the use of locally roasted coffee for their coffee liqueur to making gin using foraged and donated fruit. Like Booth-Lark, Jane Sawford – daughter of Casey and Grete Overeem of Overeem Distillery – is another second-generation distiller. Not only did she follow in her father's footsteps ("Jane and I are some of the few people in our generation to have done what our parents did," jokes Booth-Lark), Sawford is temporarily back in the same suburban stillhouse she worked in with her parents a decade ago. The former Overeem distiller admits things were different back then. "I didn't feel like a part of an industry because it was so small," she says. "I was just doing this job with dad and we were just making whisky, having a bit of fun. It wasn't until I started attending whisky shows and events that I realised I'd be the only young female there or one of a handful. We'd check into a hotel and people would think I was dad's young girlfriend." 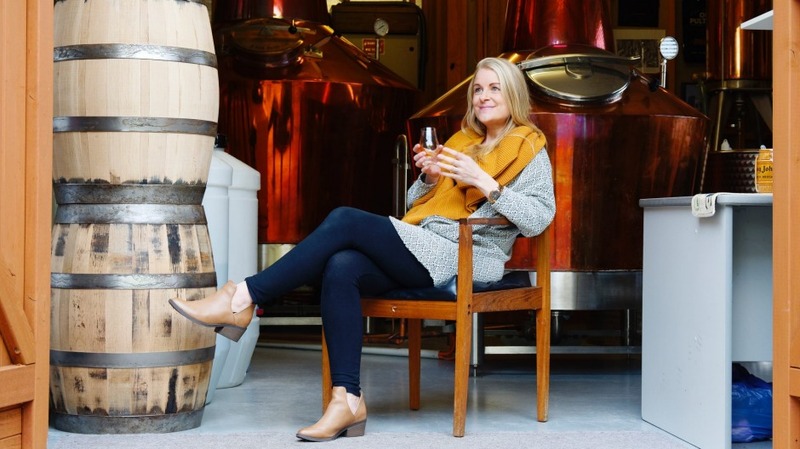 Few had any idea that the smiley blonde with Casey Overeem was instrumental in producing a whisky so coveted, an entire barrel's worth of spirit would sell out in 10 minutes. Old bottlings of Overeem are available on the secondary whisky market with bottles starting at $250. Since parting ways with Overeem in 2016, Sawford and husband Mark began planning for their own distillery, Sawford. 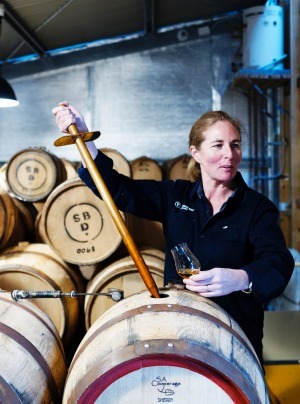 Sawford is sticking to what she knows and, as was policy at Overeem, slowly ageing most of her spirit in 100-litre barrels to produce deeper, more complex tasting whisky. Letting whisky mature slowly isn't cheap, though. For now, the Sawfords are relying on income from the bar and restaurant managed by Mark to make ends meet while they wait for their whisky to be ready. "We're lucky we've got the other three businesses which are sustaining us and our family and allowing us to put more barrels down," says Sawford. "If it wasn't for those businesses, Mark and I wouldn't be able to own a distillery on our own. Pouring out money for five years without a return is expensive." So what does the future hold for whisky in Tasmania? In a word: growth. There are those in the industry that predict that by 2020, the island distillery count could hit 50 (it's currently sitting at 38) and there are already signs that big business is entering the picture. 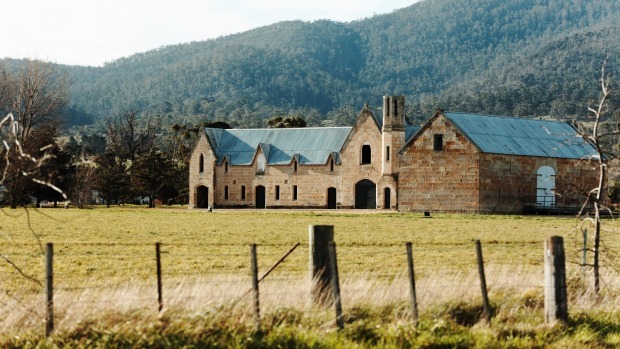 Publicly listed Sydney-based company Australian Whisky Holdings has bought pioneering Tasmanian whisky distilleries Lark, Overeem and Nant, and plenty of eyes are tracking the progress of White Label Distillery, an all-in-one whisky production facility that can do everything from brewing the wash to aging the whisky. (The facility is due to open in October). The mood in the industry is cautiously optimistic. 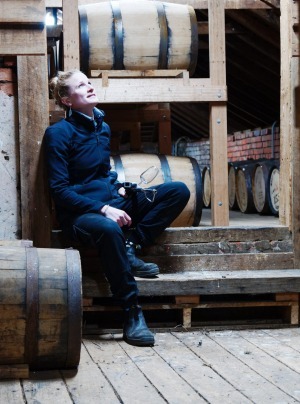 Old Kempton Road distiller Lisa Truscott believes investment is vital for the industry's growth and all the distillers Good Food spoke to are confident there will always be space in the market for smaller, boutique whisky producers. Suzy Brett, for one, isn't going to die wondering. She recently called time on her 20-year nursing career to concentrate on running Spring Bay Distillery and raising her young sons, Henry and George. She admits it was a difficult decision to make but feels the timing was right. "In five years we might look back and go, 'Uh that was a bad idea', but you've got to believe in what you're doing and give it the focus it deserves," she says. "The kids probably hate the distillery as it does demand a lot of our time but when they turn 18, they might change their tune. Who knows, they might even think we'll be a little bit cool."